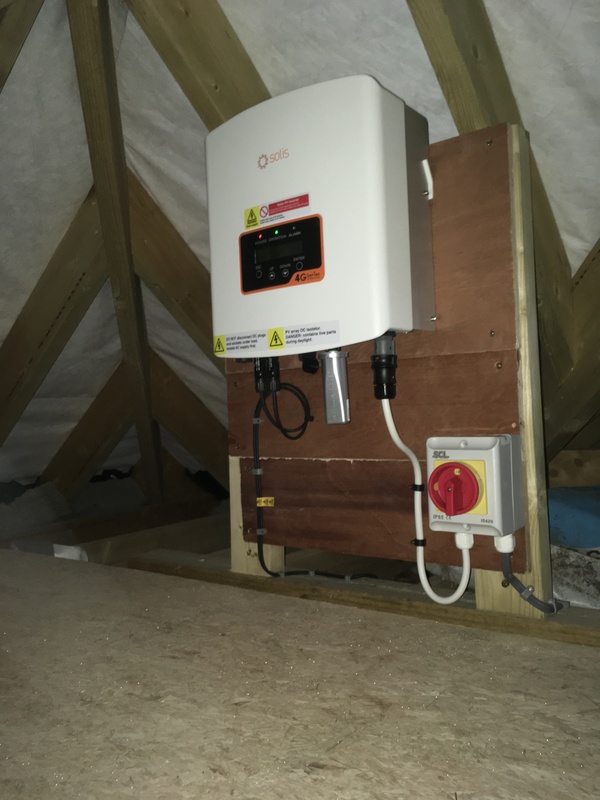 This is one of our smaller installations, a 1.8kWp in-roof system in Epsom. 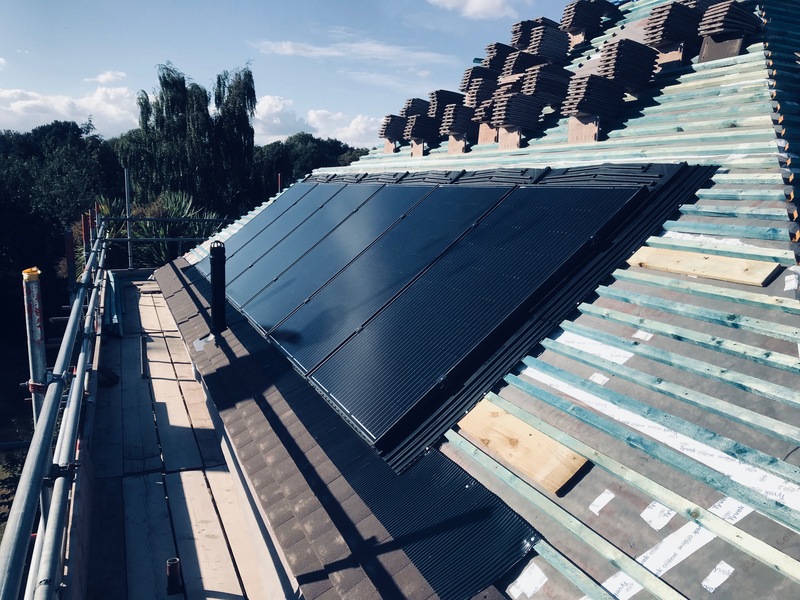 An in-roof system is one that sits flush in with the tiles, rather than being mounted on top using our traditional brackets and railing. 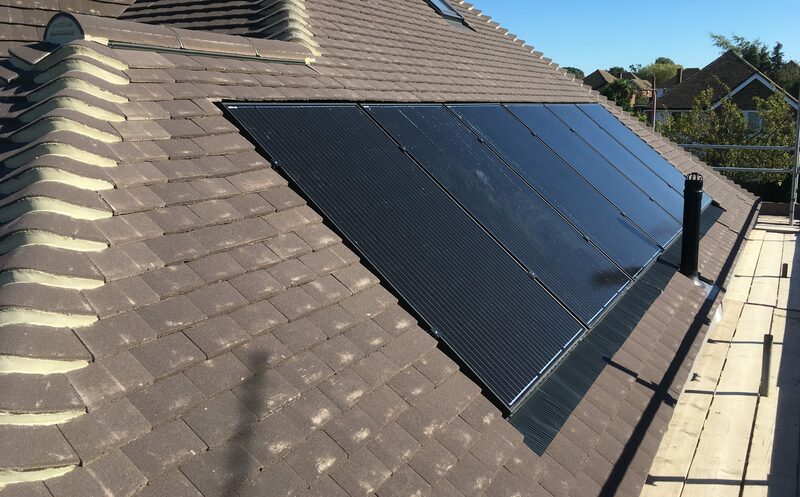 For this system we used the Easy Roof Evolution system. 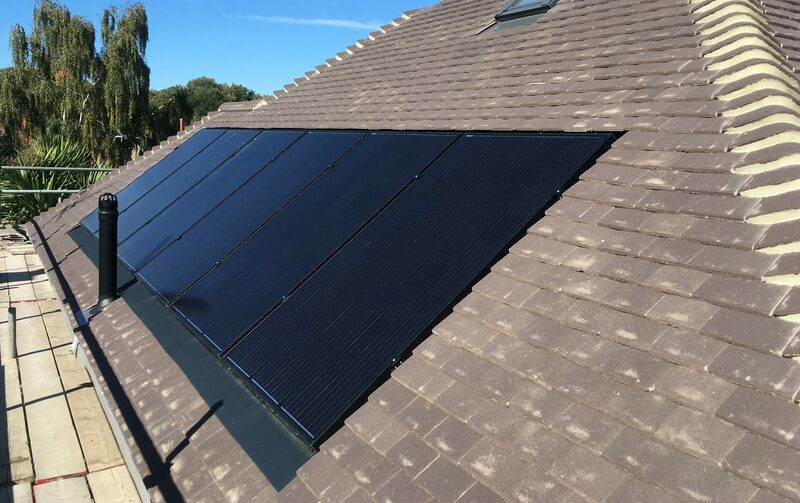 A fully MCS 012 approved in-roof mounting with minimal parts. 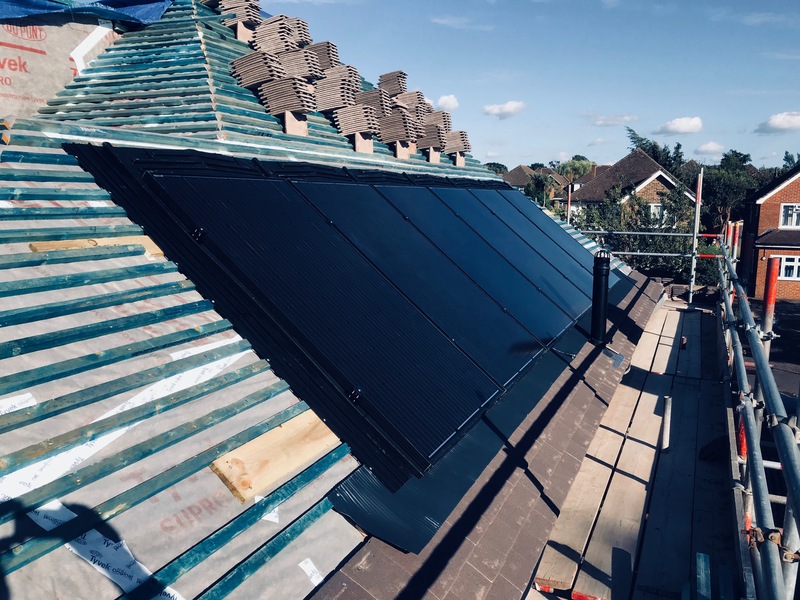 Within the system we used the 300W Peimar modules, a full black panel that looks great when used with an in-roof system, giving a very sleek looking finish. The modules are optimised with Tigo optimisation, these units fit behind the panels and work each module to its full potential as well as removing any negative string effects such as shading. 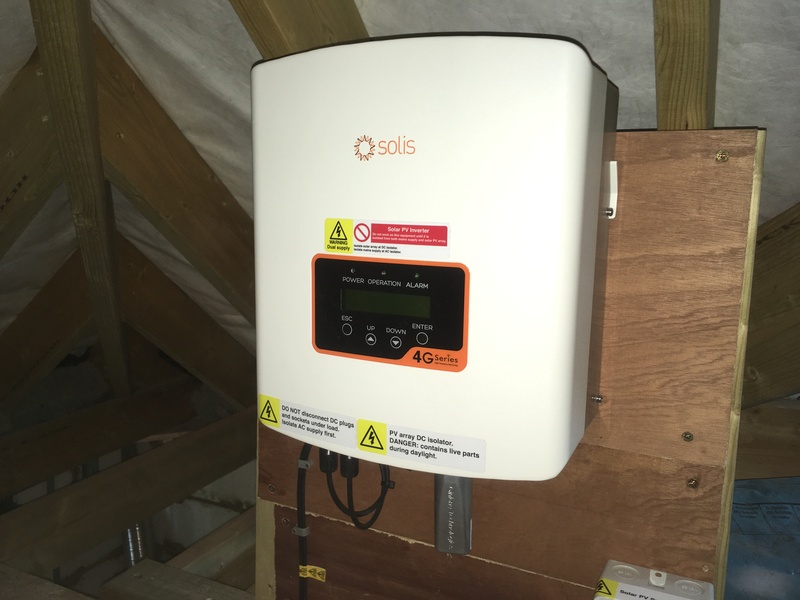 The solar feeds into a Solis inverter which has been upgraded with WiFi capability to allow our customer to monitor his system through an internet portal.